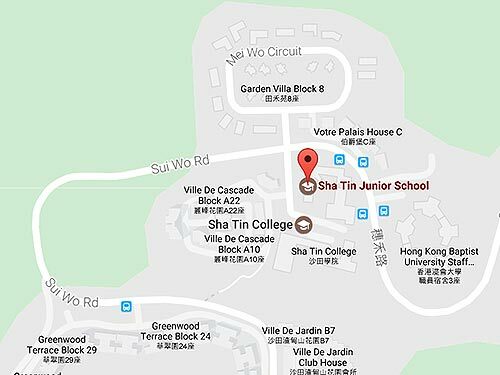 At Sha Tin Junior School, we believe that learning should be engaging and accessible for all of our students. We have a positive, personalised approach to teaching and learning and strive to provide a balanced curriculum that equips every student with the knowledge, understandings and skills to be lifelong learners. Students are introduced to concepts and strategies that enable them to take greater responsibility for their own learning, to understand the value of mistake-making and to reflect on and take greater ownership of their learning. Our teaching philosophy and practice has been based on the ‘Building Learning Power’ dispositions and capacities and on the concept of ‘growth mindset’, where effort and application, are highly valued. This inclusive approach to teaching and learning supports the learning of all of our students. Access to learning for all students is further supported by our Learning Access team. The team is made up of enthusiastic, experienced and well-trained educators who may be involved in giving extra learning support or intervention for some students. Our support teachers and assistants work collaboratively with class teachers. This, together with a co-operative partnership with parents aims at further enhancing students’ learning. It is expected that through early identification and effective support, all students will have the opportunity to achieve their potential. At times, some students benefit from the expertise of therapy specialists. Although outsourced, a number of providers offer high quality support for our families. We partner with a number of specialists including Speech and Language Therapist, Occupational Therapist, Educational Psychologist and counsellor. They interact closely with staff and families to ensure the most effective service possible. In response to student needs and with our understanding of the impact of wellbeing on academic performance, SJS partly funds in-school counselling for students and families provided by St John’s Counselling Service. In line with local, international and ESF-based initiatives the SJS community offers programmes and structures to support the social and emotional wellbeing of students, staff and our families. Basic core mindfulness practices are part of our daily routine for all students. We also offer the FRIENDS Programme and a number of social skills groups. A number of our EAs have also been trained to offer additional support in this area. These Emotional Literacy Support Assistants (ELSAs) work with individuals and small groups of students in a range of areas including: friendships and social skills, anger management techniques, bereavement and loss and resilience. SJS also offers a broad programme to identify and enhance our students’ talents. Through the Talent Development Programme students have the opportunity to participate in school-based enhancement in the areas of sport, music, ICT, literacy and maths as well as external competitions and programmes. These include, the Sir Robert Black Trust Fund, Lang Lang Music Foundation, HKAGE Gifted Programs, EDB Webcourses, Chinese University Gifted Programs, HK Watsons Student Sports Award, Sir Edward Youde Scholars Program and Johns Hopkins Talent Search Program. If you have any concerns about your child’s learning or questions about the support available for students through the Access Team please contact your child’s class teacher or a member of the Learning Access Team.